I hope all is well in your world, and if you’re living in the two-thirds of America that was hit last week by a polar vortex, or in the UK with all that unusual snow, I hope you’re thawing out and ready for the new week. 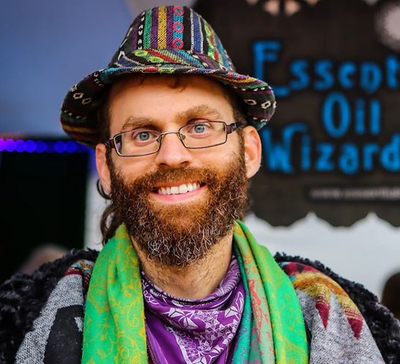 I met Dr. Nick Berry after my great friend, Ben Greenfield, sent me some of his awesome essential oils he creates via his company, Essential Oil Wizardry in Oregon. His oils were so great, I felt moved to share Nick and his products with my Level 4 CHEK Practitioners when they were here last year for training at Heaven House. When I met Nick the first time, I felt as if I was meeting a Shaman, not a pharmacist or chemist, and that we shared a lot of harmony in our values about life. So, when we were getting ready to launch my Living 4D With Paul Chek podcast, I was very eager to share this unique man and his work with a much wider audience. For this week’s blog/vlog, I want you to enjoy a bit of that magic surrounding Nick and his work in this short segment of a much longer conversation — topping out at 3 hours — about his journey that started by taking a conventional path to become a licensed professional pharmacist with a PhD. Thanks to spiritual development and the deep, deep healing he’s done, however, it’s quite evident we’re in the presence of a Shaman who also has the training of a pharmacist. During this excerpt, we get into how essential oils work, especially when they’re derived organically and chemically, and about Nick’s first test on himself to treat winter upper respiratory infections — not with run of the mill broad-spectrum antibiotics — but a single drop of oil of oregano, with very predictable and successful results. If you like this segment about alchemy, shamanism and essential oils, I hope you’ll listen to our entire conversation available for FREE! wherever you download podcasts, including iTunes and Stitcher. So, if you enjoy what you hear and want to try any of Essential Oil Wizardry’s AWESOME products, hit THIS LINK, choose the oils you want order, enter the promo code living4d at checkout, and you’ll receive a 10 percent discount off single and blended essential oils! I’m looking forward to sharing a new exercise video with you next week!